Federal moves to pull a form of financial assistance for low-income Americans and slash ACA outreach and advertising last year were followed by the GOP tax law's elimination of the individual mandate penalty, and a proposal to expand health coverage that disregards ACA rules and protections. A bipartisan bill to restore cost-sharing reduction payments and establish a federal reinsurance fund fizzled out. Without some sort of congressional action to stabilize the market, there's no question that premiums will go up for next year. It's just a matter of how much. Enrollment in the exchanges will surely fall. States are preparing for these challenges in different ways. Some blue states are attempting to prop up their individual insurance markets by encouraging residents to maintain continuous coverage, or considering restrictions on the sale of skimpy products, including short-term medical plans. Some red states are promoting cheaper plans that lack consumer protections in a bid to bring more choice and affordable prices to the market. What will result is a patchwork of insurance laws and regulations, leading to differences in coverage affordability and access across the 50 states. In some places, the parity between individual and employer coverage will continue to erode. "The ACA was an effort to create more uniform coverage and regulations across states and we're now moving in the opposite direction," said Larry Levitt, senior vice president at the Kaiser Family Foundation. "We will likely see growing disparities in stability, affordability and protections in the insurance market." This year's rate-filing season is shaping up to be much like last year, when the lack of definitive guidance about where the ACA was headed, coupled with White House actions, drove 2018 premiums more than 30% higher than 2017 rates. "Plans want to make healthcare more affordable, but given the lack of action and the uncertainty that we're facing, you have to factor these into the rates," said Justine Handelman, senior vice president of the office of policy and representation for the Blue Cross Blue Shield Association. The Congressional Budget Office this month projected that premiums for the most popular silver plans on the ACA exchanges would jump an average 34% next year. The left-leaning Urban Institute estimated that eliminating the individual mandate penalty, along with expanding short-term medical plans, would increase individual premiums 18.2% on average in states that do not restrict short-term plans. That's because elimination of the mandate and the proliferation of skinnier, cheaper plans threaten to take healthy people away from the individual market, leaving just the heavily subsidized and sick behind. "Those are game changers in the short run," said Joel Ario, managing director of Manatt Health and former Pennsylvania insurance commissioner. The Trump administration proposed allowing insurers to sell short-term health plans that last up to 364 days, instead of limiting the policies to less than three months. The proposal has not yet been finalized. Several experts agreed that the CMS' final marketplace rule giving states more flexibility to regulate their markets, through greater leeway in determining essential health benefits, for example, is unlikely to affect 2019 rates. 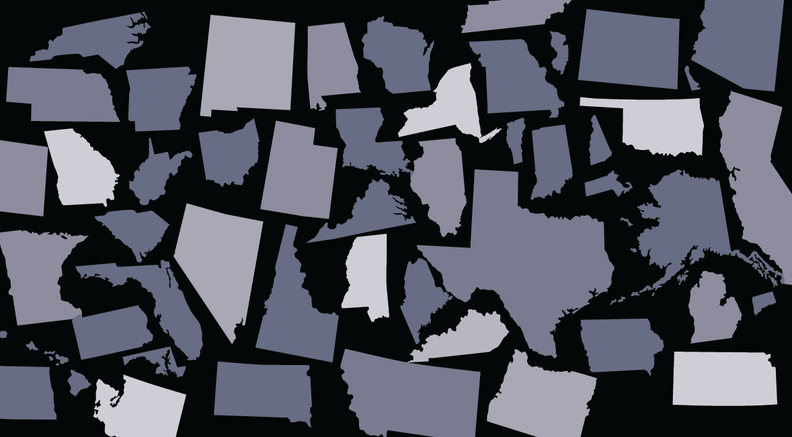 Long term, the rule is likely to erode individual market coverage as some states opt to pare down benefit requirements. There's some disagreement over how much weight to give the loss of the mandate and the potential expansion of skimpy plans. Nick Ortner, consulting actuary at Milliman, said the elimination of the mandate penalty, effective next year, may have less impact on rates and enrollment if an insurer's healthiest plan members have already left the risk pool due to higher premiums. Mark Nave, senior vice president of government markets at insurer Highmark Health, said the mandate hasn't been as effective as planned, so its elimination is "going to have some effect, but we don't think a catastrophic effect." Ortner said actuaries may also take into account individual states' regulatory environments when setting rates. "It's really sort of a one-size-fits-one sort of approach," Ortner said. "We tend to come at it from a perspective of: What is your state doing? What are (regulators') appetites for alternative plans? Are they strictly focused on sustaining the ACA market, or are they considering ACA alternatives?" Before the ACA was implemented, few states had regulations guaranteeing health insurance to people with pre-existing conditions. But the landmark law changed that by attempting to level the playing field across states, while also allowing for some variation. The Supreme Court's decision making Medicaid expansion optional meant true uniformity was never reached. To make up for the cost of insurers covering extremely ill people, the ACA required everybody to enroll in coverage or pay up. It also set a floor for benefits that consumers could expect, and then states were free to go above and beyond that minimum, explained Rosemarie Day, a Massachusetts health policy consultant who helped lead the rollout of her state's Obamacare-like healthcare reform law in 2006. Now the debates at the state level will be about whether to lower that floor and by how much, Day said, adding that will likely happen along party lines. Massachusetts is the only state that requires its residents to enroll in health insurance, but at least nine other states are considering a mandate to promote continuous coverage, according to the Wall Street Journal. Those include California, Connecticut, Hawaii, Rhode Island, Washington, Maryland, Minnesota, Vermont and the District of Columbia. And the New Jersey Legislature last week passed a bill that would require all citizens to pay for coverage or pay a penalty. That bill is headed to Democratic Gov. Phil Murphy's desk. Policy experts are skeptical that many states will impose an individual mandate. That piece of Obamacare has been the most unpopular with the American public. But some are experimenting with spinoff versions that frame the mandate in a more positive light. Maryland, for instance, would fine residents for being uninsured, but give them the option of using that money to buy insurance the following year. "It's a far friendlier way of doing it, and that I think could gain some traction in the bluer states," Day said. Some states are also considering restricting the sale of short-term insurance plans. Massachusetts, New Jersey and New York effectively ban short-term plans by requiring extensive consumer protections, according to the Commonwealth Fund. Other states, like Colorado and Oregon, limit the plans' duration to three months. Washington state Insurance Commissioner Mike Kreidler has said he is going to safeguard short-term plans with ACA protections. Still other states are looking at setting up reinsurance funds to help subsidize high-cost patients. Alaska, Minnesota and Oregon received Section 1332 waivers to establish such programs to bring down premiums. Alaska's reinsurance fund lowered the state's individual premiums by more than 20% in 2018. Several other states, including Colorado, Maryland and Wisconsin, are also pursuing the reinsurance route. "If you were to carve out a high-risk pool, that has an immediate impact on premiums because a small percentage of exchange enrollees account for the lion's share of healthcare costs," Nave said. At the other end of the spectrum are Idaho and Iowa, red states attempting to sidestep the ACA coverage rules to expand plan choices on the exchanges. Idaho's insurance regulators in January issued guidelines that would allow insurers in the state to get out of some ACA rules as long as they offered ACA-compliant plans as well. The CMS rejected the idea, but Idaho officials are planning to submit a revised blueprint. Iowa GOP Gov. Kim Reynolds meanwhile signed legislation this month to allow the Iowa Farm Bureau to partner with Wellmark Blue Cross and Blue Shield to sell health benefit plans that skirt ACA protections. The workaround is similar to an arrangement in Tennessee, which also allows the state Farm Bureau to sell unregulated health plans. For insurers, a patchwork of regulations and laws adds administrative burden. And all these individual efforts will move the U.S. away from the ACA's goal: uniformity of coverage for consumers and by proxy, access to the front door of America's healthcare system. "States need to proceed pretty carefully," Day said. "If people really get sick and need insurance they need that coverage. That's not a red or blue state issue. That's just reality."